Stravinsky Oedipus Rex, the culmination of Esa-Pekka Salonen's traverse through themes in Stravinsky with the Philharmonia Orchestra at the Royal Festival Hall. Sophocles' Oedipus Rex defines the very idea of Tragedy. Oedipus is cursed by Fate and cannot escape. He and those around him will be destroyed through no fault of their own. Stravinsky captured the horror of Oedipus's predicament with music so uncompromising that, in comparison, The Rite of Spring seems almost folkloric. Huge brooding chords, massive pillars of sound, like the pillars of some ancient oracle, towering over the performers, mere mortals, trying to express through art forces so powerful, and so cosmic that they defy containment. Perhaps that's why the texts are Latin, a dead language which no one actually speaks, but that carries the authority of time and ritual. That mystery is of the essence. Oedipus is the vector of cruelty beyond human comprehension. Salonen certainly drew savage portent from the Philharmonia, the percussion pounding like frantic heartbeats, woods and brass exhaling and projecting like the panting lungs of a hunted animal. Ostinato with jagged edges that rip and tear at the heart. The vocal lines are like incantation, marching up and down the scale creating angular, disturbing stresses. Much hangs on the Narrator, who speaks in the vernacular of the audience, and acts like a bridge between the "reality" of performance and the symbolic ritual in the drama. There have been many different kinds of Narrator in the ninety years since the piece premiered, some more effective than others. In this case, a staging by Peter Sellars, the Narrator was specifically identified as Antigone, the daughter of Oedipus and his mother/wife Jocasta. There are reasons for this, since Antigone features in those plays of Sophocles that survive, but I wonder if her portrayal here reflects Sellars himself, not Sophocles or Stravinsky. Sellars's The Indian Queen was a bizarre concoction that had little to do with Henry Purcell and very little understanding of Latin American history, but was dominated by a narrator so irritating that whatever message was lost. Whoever Antigone is, the Narrator is neither self-obsessed nor hysterical. There's nothing wrong in principle with changing things, but changes should be based on some basic comprehension of the original. Case in point: Sellars's staging of György Kurtág's Kafka Fragments which turned good music into facetious soap opera. Towards the end of Oedipus Rex spotlights were turned on the audience, which is all very well, but the whole point of Oedipus Rex is that the poor King was not responsible for his tragic fate, even if he died well. .
Perhaps this portrayal also sprang from Sellars wanting to connect Oedipus Rex with the Symphony of Psalms written three years after Oedipus Rex. Stravinsky used the texts of Psalms 38and 39, which deal with alienation, and Psalm 150, the Laudate Dominum. Thus Antigone recites the psalms before the choruses sing. The play Oedipus at Colunus might justify this, but it does rather dilute the impact of Stravinsky's Oedipus Rex, as if its very audacity and modernity were too hard to take on its own terms. A pity, since the choral singing was of a very high standard indeed.. Katarina Dalayman sang a strong Jocasta and Willard White was a striking theatrical presence appearing in different parts of the Royal Festival Hall, his voice still commanding attention. The choruses were the Orphei Drängar, the Ladies of the Gustaf Sjökvists Kammarkör and the Ladies of the Sofia Vokalensemble. They looked wonderful, too, moving in tight ensemble, as good opera choruses can do. 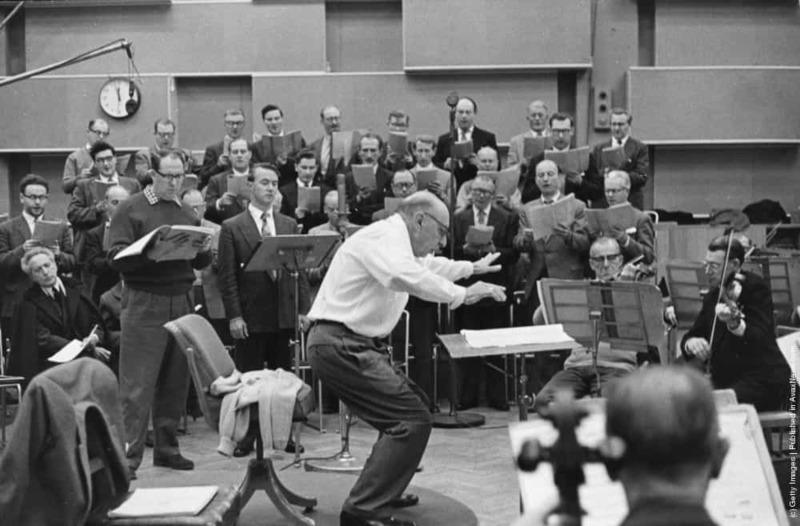 The photo at the top shows Stravinsky himself rehearsing Oedipus Rex, which he then conducted at the Royal Festival Hall on 8th November 1965. A tape of that is in circulation, definitely worth tracking down as it is superb. And the narrator then was Jean Cocteau himself, speaking with pugnacious, pungent Gallic flair. Please also see my other posts on Stravinsky and on Salonen. Esa-Pekka Salonen's traverse through Stravinsky with the Philharmonic Orchestra at the Royal Festival Hall is such a remarkable series that it should itself be commemorated, since it's much more than an ordinary series of concerts; it's a deeper analysis of the themes in Stravinsky's work. We've had Rituals, Tales (more here) and Faith (more here), and now, Myths, depicting Stravinsky as a man of the theatre in the widest sense of the word. Apollon Musagète (1927), Orpheus (1947) and Perséphone (1934), all three examining the role of myth in drama. The myth of Orpheus is so central to western culture that it has been retold in different forms for millennia. and for good reason : it deals with the inevitability of death, which defeats even love. 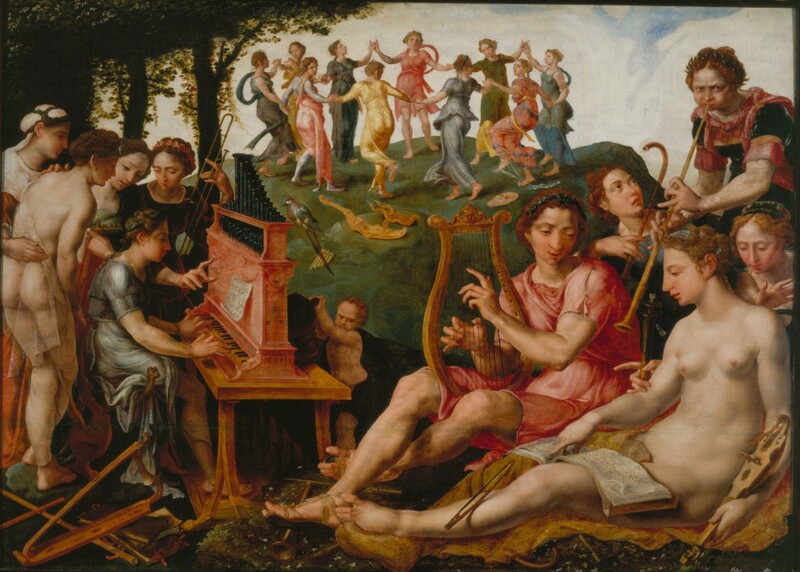 Orpheus cannot bring Eurydice back, but his life continues, his mission to create music. Death defeated by art: a powerful concept. Salonen and the Philharmonia began with Orpheus, created for Balanchine in Hollywood, but Apollon Musagète is by far the more innovative. Greek theatre was austere - no fancy sets, no costumes, nothing to distract from the fundamentals of drama. Indeed, Stravinsky thought of this as a " ballet blanc" where the dancers would be dressed almost identically in white, reminiscent perhaps of Greek robes. Concentrated intensity: the focus on abstract expression through music and dance. Apollon Musagète adapts the pared-down elegance of neo-classicism to the cool, clean lines of 1920's modernism. Scored for 34 strings only, the palette is limited so the refinement of form is unclouded. This music is so precise that one hardly needs visuals. The first violin enters like a dancer, swooping and sweeping. The line is languid but elegant, defined with delicate decoration. The concept of physical movement is defined in the music itself. Curving movements, swooping and sweeping, diagonals, lines that break off to return again with fuller force. Trios and solos intertwine. The violins here are dancers, violas, celli and double basses their corps de ballet. As the music circulates, it becomes more and more rarified, shimmering with lightness, defying the concept of gravity. Apollo and his muses elevate into infinity. This is "classical music" in the true sense, its austere grace closer to the spirit of antiquity as well as to the clean lines of 1920's aesthetic. Strikingly modern yet eternal, at the same time. Both Apollon and Orpheus were choreographed by Georges Balanchine, so the two pieces form a nice pair, though Apollon shone by far the brighter. Superbly poised performances, and particularly well delineated long lines lit by sprightly figures. Easy to visualize flying footsteps and the graceful energy of dancers. Stravinsky's Perséphone is an odd piece, part oratorio, part neo-classical, an odd mix very much a piece of the 1930's, a relatively underappreciated period in music drama. Andrew Staples and Pauline Cheviller operate like chorèges, narrating and speaking for characters, supported by orchestra, choruses and dancers. Thus the idea of duality is embedded into the piece: reflecting shifting balances. Perséphone is the privileged daughter of Demeter, the goddess of fertility, but her promise is cut short because she's abducted into the underworld. Thus the interplay of darkness and light, graphic writing and stylization, death and life. Salonen's lively touch animates the piece, so the orchestra acts as "chorus" Listen to the mournful bassoon. Recently I heard a performance of this work where the conducting was moribund, so lifeless throughout that it was painful to listen to, which demonstrated the absolute importance of spark in the orchestra. What's the point of a piece about rebirth and renewal if the music remains frozen? Thank goodness for Esa Pekka Salonen, an instinctive Stravinsky conductor who understands the idiom! In a piece like this, it's not enough to rely on surface appearances. Instead, we could concentrate on essentials: the music itself. Thus Perséphone connects to the austere concept of neo classicism as an abstract approach to art, rather than to literal theatre. Thank goodness we were spared cod attempts at comic-book staging. Perséphone works on its own terms, as music, and needs musically authoritative interpretation. Staples sang with authority, infusing his words with character, and Cheviller spoke as if every word meant something: enthusiastic and enraptured at times, wistful and frightened at others. The Tiffin Boys Choir and the Philharmonia Voices were superb, creating the atmsophere and mystery, absolutely essential to meaning. Salonen and the Philharmonia resurrect Perséphone from the dead. Spring returns! "Masterworks of French Modernism", the title of Daniele Gatti's concert with the Berliner Philharmoniker. Debussy La Mer, the key piece that opened new horizons, a magical work which, like the ocean keeps changing, revealing its depths in good performance. "God is in the detail" said Gatti in the interval interview, explaining how the arc of a performance is built upon many layers of detail. The term "Impressionism" is a tag that's stuck because it does describe the idea of creating a whole made up of tiny cells of pure colour. Impressionist paintings shocked viewers because they seemed to shine from within, because each stroke of paint seemed to glow with inner light. Now, perhaps The Shock of The New has worn off with millions of reproductions on coffee mugs, t shirts and so on. But in music, every good performance is new, an original recreation in its own right. Daniele Gatti is too good to do routine, and with an orchestra as good as the Berliner Philharmoniker, there was no way this performance would fail. There are so many brilliant La Mers around that we've all heard better, but also even more that are infinitely worse, and that's something to be glad about in a world where mediocrity is increasingly prized over excellence. Not a "coffee mug" performance by any means, even if the real revelations on this occasion came in Honegger and Dutilleux. Arthur Honegger's Symphony no 3 and Henri Dutilleux Métaboles have both been part of the Berlin Philharmonic's repertoire for some years. Simon Rattle conducted Métaboles as recently as 2013, with more or less the same musicians. Although much of Dutilleux's best work lies in miniatures and chamber pieces, Métaboles is scored for large orchestra. It flows over five movements each wiuth a distinctive personality : not variations but a series of developments, characterized by meticulous detail - a kind of refined embroidery. To borrow metaphors from painting, Pointillism, as opposed to Impressionism. Gatti's approach is softer grained than Rattle's, which may be more authentic but which might appeal to the already converted than to those coming new to the composer. There is a powerful Dutilleux lobby, so influential that it could demand chapters on Dutilleux in books about Messiaen. A bit petty, since both composers are very different indeed, and there's no need to play silly status games. Better to absorb the music on its own terms. A few years ago, I attended a Dutilleux recital at the Wigmore Hall (read more here). The composer, then aged 92, was present, enjoying himself hugely because Jan Pascal Tortelier's father was a close personal friend. Afterwards, my friend and I had a long dinner, leaving close to midnight. And who should we see but Henri Dutilleux, walking back to his hotel around the block. We waved. He beamed. Herbert Karajan conducted Honegger's Symphony no 3 (Symphonie Liturgique) with the Berliners in 1969, so long ago that it's pointless to compare. Whoever uploaded the performance to YT knew what they were doing by illustrating it with a drawing by George Rouault. Connections to painting again. No pretty pointillism for Rouault : his work is marked by ferocious dark outlines, defining the images within . The colours in his famous series of paintings of Christ seem to glow like stained glass even though they are oppressed by savage framework, which is utterly appropriate. Written in the winter of 1945/6, Honegger's piece deals explicitly with the horrors of war, and the challenges of a new era. The Dies Irae with its ferocious outcries, expresses anguish. Rouault's suffering Christ, depicted in sound. Honegger, being Swiss was a neutral in occupied France, but no less involved with what was going on around him. The second movement, De profundis clamavi, is a slow, but not peaceful meditation. What must we do that to counter violence and hate ? Slower, more amorphous figures, long lines that seem to float on a stream of mysterious detail. 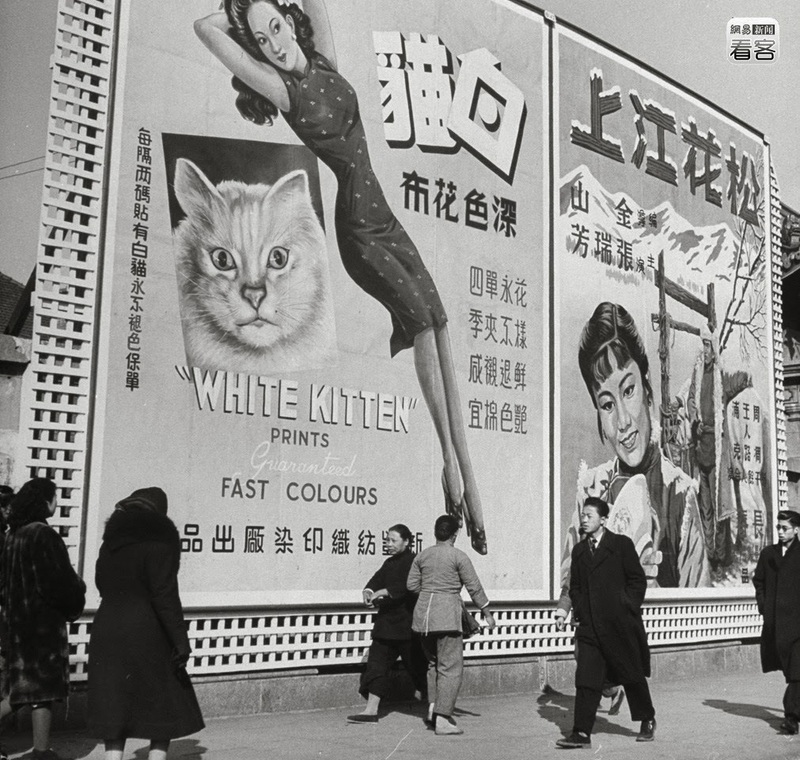 Gatti's unhurried attentiveness works well: we cannot afford to gloss over these complexities. This is the dark soul of the whole symphony. The movement concludes with intense outbursts from the brass, angular shapes against the horizontal keening in the strings. The last movement, Dona Nobis Pacem, doesn't, however, "grant us peace". Instead, it moves in the form of a solemn procession, lit with violent alarums from brass. One could visualize a cortege marching at night, the darkness broken by malevolent flames, whipped by turbulent winds. Obvious connections with Honegger's masterpiece Jeanne d'Arc au Bûcher written in 1938, when Honegger was well aware of the threat posed by Hitler. Joan of Arc stands up to invaders, but is martyred. As the flames rise round her, though, she sees visions of saints and angels, and the voices who lead her return at last, taking her up to heaven. Peace, of a sort, is achieved but only through confronting evil and suffering : no avoidance, no prettying up. Honegger's Symphony no 3 isn't just a masterwork of modernism but a powerful document of how music can inspire the mind and soul. Please read my other work on Honegger and especially on Jeanne d'Arc au Bûcher by following the links below and on the right. Manic depressive Schubert? Der Musensohn D764 op 92/1, a case in point. Listen to the pounding piano, Schubert's own instrument, through which he "spoke" without words. Note the frantic, driven pace, the repetitive figures, tearing along as if driven by some unnatural, manic force. Such rhythms occur frequently in Schubert. Babbling brooks, for example, and merry strophic verses. But as any thoughtful reading of Die schöne Müllerin would suggest, the babbling is anything but cheerful. Whether that brook is a malevolent force or simply a mirror through which the poet works out his turbulent emotions, the brook symbolizes something more complex than bucolic landscape. "Durch Feld und Wald zu schweifen, Mein Liedchen wegzupfeifen,", "through fields and woods, I canter, piping my little song". Cantering, one foot lifted up, the other on the ground, like a prancing horse. Though the Muses' son doesn't stand still, his movements are controlled and purposeful, like the rhythm of dance. That's why "Und nach dem Takte reget, Und nach dem Maß beweget Sich alles an mir fort." The idea of dance is, I think, critical, since the Muses were often depicted dancing together. The arts, united in communal expression. Thus the pace of this song: fast, and sprightly, but not undisciplined or the dance will collapse into chaos. Although the tempo is fast, it evokes a steady pulse, the very pulse of life that reinvigorates Man and revives Nature after a hard winter. Nach meiner Melodie". Note "stumpfe Bursche", a kind of bucolic oaf who acts by instinct. The Muses' son is driven, his feet have wings. The piano evokes delightful diversions, but always returns to the basic, forceful mission. But is the Muses' son happy? The punchline "Den Liebling weit von Haus". He is the favourite son, but driven far from home. Goethe knew Greek mythology well enough that the sons of the Muses didn't have happy fates. It may or may not be relevant that this song was written in December 1822, when Schubert may well have become aware that his health could not be taken for granted. "Ihr lieben, holden Musen,Wann ruh ich ihr am Busen Auch endlich wieder aus?" You dear, sweet Muses, when can I at last find rest in your embrace? The dilemma of parental love : kids have got to grow up and find their way. Some performances of Der Musensohn are so swift that the piano seems in frenzy, driving the singer almost breathless Manic, perhaps, but better that than anything too stolid, which misses the element of whirlwind dance. Today a friend sent me an old favourite, where the bright, fleet-footed energy is balanced by Classical elegance. but does not disguise the existential sadness of the Musensohn's predicament. Some men are fossils from the day they are born, but not Max Brand (1896-1980). Here he is, in his 80's demonstrating his synthesizer, which he built in his 60's to create music out of abstract electronic sound, for which he wrote several abstract, electronic pieces,starting in his 60's. The machine was assembled and exhibited in Vienna, where it still exists, and is still played. Electronic music would have come naturally to Brand, given his fascination with modernity and mechanical processes. His best-known work, the opera Maschinist Hopkins (1927), of which I'll write more later, typifies the spirit of the age, influenced by Futurism, jazz, film and experimental art. Brand didn't invent electronic music, though, as it was well in gestation even in the 1920's with Edgard Varèse who was experimenting with new sounds in the 1920's and whose Poème électronique was the sensation of the World Fair in 1958, influencing Xenakis, Ligeti, Stockhausen and a host of composers since. Below a clip from a 2009 performance of Brand's Ilian IV (1974) played on Brand's own machine. Billboards in North China in 1947 juxtaposing two realities: consumer fashion goods on one side, and an ad for the film On the Songhua River on the other. Passers-by are rushing past. They don't know that Communism is just around the corner. The film On the Sungari River (the old westernized name for the Songhua) was made almost immediately after the Japanese surrender in North China, almost literally before the embers had finished burning on the battlefield, which gives the film a poignant authenticity few movies attain. It is certainly not to be dismissed as mere propaganda. Real people lived in real times like this. We must not forget. A young girl called Niu-er lives in a village, lovingly depicted by the camera. Suddenly strangers appear: soldiers on horses, brutalizing peasants into submission. It is September 1931, and the Japanese have invaded. Fourteen years of war will follow, tens of millions will become refugees, China will never be the same again. Niu-er's parents are murdered (the killing of the mother particularly distressing). The girl and grandfather flee, but soon grandfather dies, entrusting Niu-Er to a lad from their native area, "You're going to have to marry one day", says the old man "so make the most of it". Eventually Niu-er's husband finds work in Japanese-operated coal mines, under notorious conditions of slavery. This mineral wealth was why the Japanese invaded North China. The area is still the powerhouse of modern China's industrial economy. There's an accident, many miners are buried underground. Posters appear, inciting rebellion, but many of the peasant workers are illiterate. The guards break up the demonstration but the workers fight back, though they're helpless against guns. Some of the miners, including Niu-er and her husband, escape into the snow, to be rescued by partisans. In the final scene, the partisan band walks along the Songhua River, no longer frozen but carrying floes of ice swiftly out to sea.
" My home is on Songhua River in the Northeast. There are forests and coal mines. There are soybeans and sorghum all over the mountain. My home is on Songhua River in the Northeast. There are my fellow countrymen and my old parents. 918, 918, since that miserable day, September 18, 9 18, since that miserable day, I've left my homeland, discarded the endless treasure. Roam, Roam, the whole day I roam inside the Great Wall. When can I go back to my homeland? When can I get back my endless treasure?" Marlis Petersen possesses a voice that can handle the high, bright tessitura Braunfels was so fond of, and Konrad Jarnot is both blessed and cursed by the way his voice resembles Dietrich Fischer-Dieskau's. Eric Schneider is an exemplary Lieder pianist. This disc is a must for anyone interested in Braunfels or indeed interested at all in the development of Lieder during the first part of the 20th century. What lets it down, though, is the lack of context. While Braunfels is hardly unknown, he is misunderstood. If Capriccio really wants to bring Braunfels to wider audiences, they need to provide enough background for listeners to appreciate why Braunfels and his songs for voice and piano are worth listening to. The lack of translations to texts isn't a major issue, since most people interested in Braunfels and in Lieder are reasonably fluent in German. Capriccio is a budget label so we can't really expect much in the way of notes, but generalities, even if well meant, don't amount to much. Informative notes do make a difference. If recording companies cared about what they do, they'd realize that properly researched notes are part of the marketing process. The more buyers get from a CD, the more likely they'll buy more. Listeners shouldn't have to do all their own background work, especially in repertoire that needs cultural context. On this disc, there are eight sets of songs, organized by opus numbers, and 41 separate tracks. Quite a lot to take on board. However, they're more or less arranged chronologically, starting with Braunfels's Op 1 Lieder (1901). Braunfels was 19 when he wrote these songs, so don't expect much in the way of genius. But they do shed insight on the literary and artistic impulses that would shape the composer's whole outlook. These texts come from the George-Kreis, the fanatical and secretive sect around Stefan George. George obsessed about the German past, as if it were a sacred mission against the modern world. Imagine the Grail Community on uppers. Beneath the romance, however, lay extremism. Although George attracted good minds, like the Stauffenbergs and the teenage Hugo von Hofmannsthal, he also galvanized minds like Heinrich Himmler. Although George didn't actually align with the Nazis - he died in 1933 - he was antisemitic, which makes one wonder why some of his followers, like Karl Wolfskehl, and Walter Wenghöfer, whose poems are set here, were Jewish. A curious toxic mix, but one that might have taught Braunfels to be wary of narcissism, totalitarian values and the abuse of medievalist hogwash. From Braunfels op 1 to Der Traum ein Leben and Heilige Johanna. Thus to Braunfels's Fragmente eines Federspiele op 7 (1904), Fragjments from a feather game, meaning a concoction of lightness and charm, like playing with feathers. Here Braunfels's thing for writing tricky high tessitura, the voice of a Nightingale, which means so much in Die Vögel. Each of these songs describes a bird - bullfinch, swallow, siskin, even a hoopoe - songs of chirpy litheness, effeverscence and spontaneity: the freedom of birds in nature. If there are antecedents, they might lie in Hugo Wolf, but to me they are characteristic of Braunfel's whimsical humour, and like very little else written in this period. But like Braunfels's Mozart Variations and, indeed, the Magic Flute aspects of Die Vögel, this disc includes a second set of Federspiele, nine songs, including goldfinch, turtledove and lark. Braunfels's Federspiele are airy, but he's no airhead. Braunfels's op 4, Sechs Gesänge (1905) are settings of poems by Hölderlin, Hebbel, Hessel and Goethe, finished off with sturdy ballads from Clemens and Brentano's Des Knaben Wunderhorn, all rather more typical art songs of the period in which they were written and rather well crafted for a composer still in his early 20's. Much more strikingly original are Braunfels's settings of Shakespeare, Musik zu Shakespeares Komödie Was Ihr wollt op 11 (1908). A long piano introduction sets the scene for text, spoken in English ; "If music be the food of love, play on....." This is followed by three Leid des Narren, each song charming, yet also funny, for fools and knaves are not so far apart, as the witty low figures on the piano suggest. Two of Goethe's Egmont poems, Klärchen's songs, Freudvoll, leidvoll and Die Trommel gerüret follow. Both were set by Beethoven: Braunfels's versions, form 1916, are his own. Braunfels's Nachklänge Beethovenscher Musik op 13 provide thoughtful contrast. A version of An die Parzen op27/1 follows, but is not a patch on Braunfels's full orchestration on the Oehms Classics disc of Braunfels Orchestral Songs which I reviewed HERE. partly because the textures are finer, but also because Jarnot is no match for Michael Volle Then, fast forward from 1916 to 1932, and two of Braunfels's last songs of the Weimar period, the Zwei Lieder von Hans Carossa op 44/1 and /2. Marlis Petersen's soaring timbre brings out the starlight magic and moonlight in these refined miniatures: birdsongs and feather games, in darkening times. Even before the First World War, during which he served on the front line, Braunfels was preparing what is now his best-known work, the opera Die Vögel , which helped launch Albrecht Dümling's seminally important series on Decca which pioneered the rediscovery of Entartete Musik, the "degenerate" music the Nazis hated. Although his career dimmed, Braunfels wasn't actively suppressed by the regime, even though he was a half-Jewish convert. His three sons all served in the German army. His music itself would have made him an outsider to the Nazis and their taste for unquestioning sentimentality in art. Die Vögel is based on Aristophanes. Braunfels's treatment of the play highlights its powerful underlying message. The Birds aren't so much passive objects of beauty but the voices of women protesting against dominant hierarchies. Braunfels continually returned to these basic concepts throughout his career. In Jeanne d'Arc, Szenen aus dem Leben der heiligen Johanna (more here) and Die Verkündigung (more here), Braunfels used medievalism as a disguise for ideas that were dangerous in a totalitarian regime. Braunfels was a resistance fighter no less, using the Gothic to subvert the Nazi preoccupation with glorifying the past. In Der Traum ein Leben, Braunfels even depicts a talentless fool following a false Fuhrer. The orchestration is lush but highly ironic. Attempts to rebrand Braunfels as dreamy-eyed romantic inflict on him a kind of posthumous castration. This new recording begins with the Vorspiel und Prolog der Nachtigall Op 30/3 1913) a coloratura display for soprano and orchestra, a sampler for the full opera Die Vögel which premiered in 1920. Exquisitely refined playing from the Staatskapelle Weimar, emphasizing the delicacy of the scoring: to remind us that birds are fragile, like the ideas they symbolize in the opera. Valentina Farcas sings the fiendishly difficult part with assurance, not quite as miraculously as Hellen Kwon did for Lothar Zagrosek in 1997, though more idiomatically than some since. Kwon made the part feel almost supernaturally ethereal, like an elemental force of nature, which, arguably, is what the role is all about. 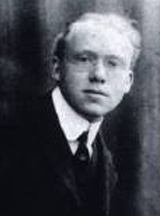 In Zwei Hölderlin-Gesänge op 27 (1916-18) Michael Volle is a commanding presence, and rightly so, for the poems have a strange unworldly quality "Willkommen dann, o Stille der Schattenwelt!" the poet wrote, wrote, fixated by death. The second song, Der Tod fürs Vaterland is even more unsettling. Swirling, almost Wagnerian flourishes in the orchestra lead to stillness, for we are on a battlefield awaiting the Valkyries. The legend long pre-dated Wagner. For Hölderlin "Fremdling und brüderlich ists hier unten" might have meant noble sacrifice, but to Braunfels, in the last years of the war, words like "O Vaterland,Und zähle nicht die Toten! Dir ist,Liebes! nicht Einer zu viel gefallen" would not have felt so grand. Significantly, Hölderlin came from Württemberg, which supplied Napoleon with thousands of troops, most of whom died in Russia in 1812, a detail not lost on Braunfels, who marked on the manuscript that it was written "in the forest camp at Neu-Württemberg at Christmas 1916". These two songs are neatly complemented by Auf ein Soldatengrab op 26 to a poem by Hermann Hesse, written in 1915 : new poetry, new music and very topical. "Dich, Nachtigall, verstand ich eine Stunde" sings Klaus Florian Vogt in Abschied vom Walde op 30/1 which Hoffegut sings in Die Vögel when he leaves the Nightingale in the woods, and returns home a wiser man. The lustre of Vogt's singing makes one feel that Hoffegut learned more from the birds of the forest than Siegfried ever could. This selection of orchestral songs has a wonderful unity, underlining the importance of respecting Braunfels as an intellectual as well as a composer. They are nicely set into place by Braunfels's Don Juan op 34 (1922-4) variations on the Champagne Aria from Mozart Don Giovanni. Seven variations follow the initial Theme, all of them played briskly, reflecting the humour oif the original. Leporello is perplexed and the aria is delightfully funny. But there's a darker side, as Donna Elvira discovers. One day, Don Giovanni will pay for this frivolity. Thus, beneath the post Jugendstil decorative filigree lurks menace. Variation 4 is serene, but Variation 5 ( Mässig-bewegter) begins with an ominous boom , as if winds were sweeping upwards, from a tomb. Is the Commendatore emerging? The mood in Variation 6 (Andante) is equivocal, the theme emerging on a solo wind instrument, "clouds" of rumbling strings enveloping it. In the final Variation (Presto) the old devil is back to his tricks, flying fleetingly, the brass blowing raspberries of defiance, though the ending, is, as we know, defeat . Braunfels is much more than a study in techiques and adaptation. It's a miniature opera, without words. Congratulations to Oehms Classics for this superlative recording of Braunfels's Orchestral Songs, so good that I've already ordered the next in the series. But the same standards of excellence don't apply to the programme notes. What relevance does Yoko Ono have for Braunfels, happily married as he was? These songs aren't about love. This is something that Oehms should take more seriously. Good notes are important because they can enhance the listening experience: well-informed readers can better appreciate what they're listening to. Please also see my review of Braunfels Lieder Songs on Capriccio here and other pieces on Braunfles and other composers ans artists of the Weimar and what followed. Hugo Haas, brother of the composer Pavel Haas, about both of whom there's a lot on this website if you search. Please read my piece here: Strange Afterlives: Hugo and Pavel Haas. In their native Czechoslovakia, Hugo was a megastar, acting and directing in movies like White Plague (more here), a very explicit protest against the Nazis. Knowing he'd ge targetted, he got out quick. Pavel, with a much lower profile, died in Terezin. In Hollywood, Hugo had to start all over from scratch, but was too independent minded and too arty to be a success with the big studios. So he made B movies, but low-budget movies with high standards, like The Other Woman, Hit and Run and Pickup. The closest he came to commercial success was Strange Fascination (1952|) which was marketed as unadulterated schlock and probably sold because it flattered downmarket stereotypes about Europe. But like most of Haas's postwar work, it deals with the dilemma of exiles uprooted from Europe, trying to find a new life in America. "I feel like a displaced person" says Haas,quietly. In Strange Fascination, Haas plays Paul Marvan. "He's considered the finest exponent of Chopin in Europe, you know," gasps wealthy society matron Diana, who lionizes celebrity. Her friends snap back, acidly: "Strange that in America, he's completely unknown". Her kids hate him. "He's a stranger, you can't talk to him about baseball, or movies" (delicious irony!). Inadvertently he upsets Margo a nightclub singer who goes to his concert the next night hoping to heckle but is moved "by that stuff you play". Margo's played by Cleo Moore, who starred in most of Haas's late films. She wiggles her way into his life and they marry, Rich Diana isn't pleased and drops Paul, whose career doesn't flourish in America. The pianist who "plays" for him isn't very good. Financial worries: Paul has to sell his tuxedo and play mixed programmes in variety clubs He won't let Margo go back to show business. Diana won't help - she's jealous because Paul loves Margo. Desperate, Paul tries to cash in on his insurance by throwing his hand into a printing press. The insurance company won't pay out because it wasn't an accident. Paul comes home to find that Margo's left him. Paul is reduced to knocking out tunes in a shelter for homeless men. "Say, why can't you play something gay, you bum!" Quietly Paul beats out a boogie woogie with his remaining hand. 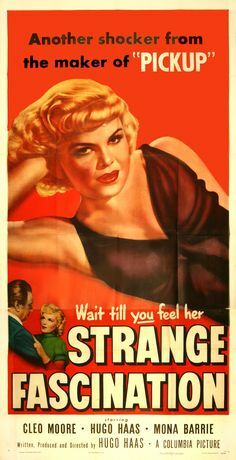 Strange fascination isn't a particularly good movie compared with Haas's other woirk but it's a story that no doubt was lived by many. who didn't find fame or fortune. 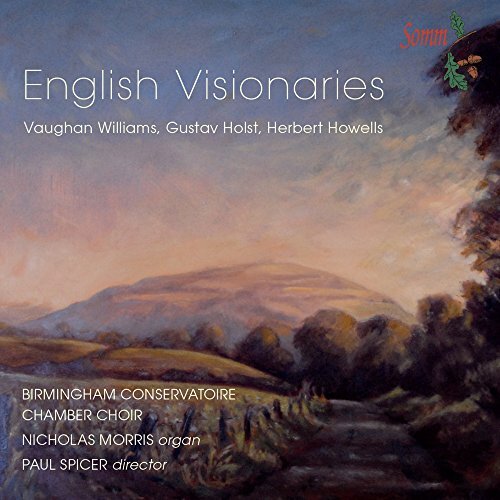 New from SOMM Records, English Visionaries, choral music by Vaughan Williams, Holst and Howells with Paul Spicer and the Birmingham Conservatoire Chamber Choir. Why "English Visionaries"? Composers who weren't religious, writing music which connects to a long-standing British fascination with the more eclectic aspects of belief. One thinks of Blake, the Transcendalists, Milton and John Bunyan, not rigidly orthodox, but spiritual. "I looked, and behold a whirlwind came out of the north, a great cloud and a fire unfolding itself". Vaughan Williams A Vision of Aeroplanes (1956) sets the scene on the Book of Ezekiel where the Prophet sees a chariot materialize in the sky, propelled by four angelic creatures each with four wings, joined together, operating as a single entity. Vaughan Williams added the word "aeroplane" himself but it captures the idea of levitation, of perpetual movement, noise, wheels within wheels, wings fanning wind and even lightning and metallic brightness. Ezekiel thought this was a manifestation of the Divine. To Vaughan Williams and many in the post-war era, the image might be far more ambiguous. The piece begins with an astonishing blast from the organ (Nicholas Morris), the voices intoning lines that waver up and down the scale, suggesting unearthly motion. Other lines arch outward in ellipse. A solo voice emerges from the turbulence (Victoria Adams) and gradually the music subsides, like the idling of an engine. This new recording is particularly welcome since Spencer made his recording of this piece with the Finzi Singers twenty five years ago. Vaughan Williams's Mass in G Minor (1922) harks back to an earlier period, not only in terms of the composer's development but also to the influence of Tudor form on modern British music. The text, in English, is sung with bright focus lighting up the lovely chromatics, also a feature of Holst's The Evening Watch (1924) which adapts the Song of Simeon as an exchange between soloists, representing bodily life, and the choir, representing the soul and eternal life. Holsts's Sing me the Men (1925) continues a sense of dialogue, but in a much more robust mode, reflecting the solid Muscular Christianity of the text by Digby Mackworth-Dolben (1848-1867). Men's voices alternate with women's. Particularly lovely abstract vocalise in the women's parts. This new recording also includes a new performance of Howell's The House of the Mind (1954). The low rumble of the organ suggests, not so much an organ in a church, but a more elusive hum: perhaps the inner hum of meditation ? The text, by Joseph Beaumont (1616-1699), refers not to grand cathedrals but to a house that is small "girt up a narrow wall, in a clean and sober mind", in which man might make a humble abode with God. Though the house may be cramped, Howells's soaring lines suggest limitless boundaries, soaring upwards, faith that "can mock all hostile power". An inspired choice which flows beautifully into Vaughan Williams's Lord, Thous has been our refuge (1922) to a text by Isaac Watts (1674-1748) paraphrasing Psalm 90. Echoes of plainchant and melodies from hymns anchor this piece in conventional Anglican tradition, as does the dialogue between trumpet and organ. On a recording, context makes a difference. As Lord, Thou hast been our Refuge drew to a close, I pondered the Vaughan Williams of the Mass in G minor and of the Vision of Aeroplanes, in his maturity. 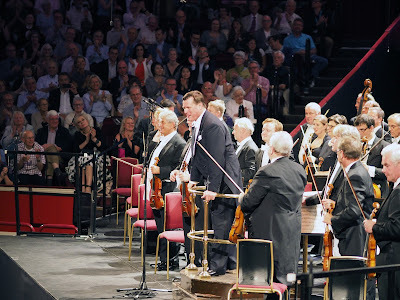 Now the Royal Albert Hall is quiet, though the cleaners and maintenance people are busy, let's take stock of the BBC Proms 2016 season and look ahead. The Proms are so big that plans are made many years in advance - that's the way the business work. No doubt the figures will show good sales, which will please politicians and bureaucrats. But success isn't measured solely in terms of statistics. Short-term targets are all very well, and box-ticking, but what of the longer-term future? Will the Proms honour the musical ideals of Sir Henry Wood or will they become a giant commercial splash promoting anything but serious music? First, kaput to the mantra that the Proms have to be all things to everyone. Proms for kids, Proms for minority interests, etc etc are a very good thing indeed. Even party-time gimmicks have their place - that's why we love the Last Night of the Proms. But any business that loses sight of its USP goes down the tubes. In the case of the BBC, that's a real danger given the competition from vested outside interests. A few years ago, many moaned about the Michael Ball Prom. It brought in new audiences, yes, but not the core Proms audience, but audiences who thought that by hearing Ball at the RAH they "knew" about music. Now, nivellement par le bas become the norm. Even the Children's Prom, which not long ago was so good that even adults could enjoy it , is now more about being cute than getting kids enthused. Will these kids grow up thinking that serious music is poison that must be coated in sugar? I know someone who was taken to the Proms at schools and hated the experience so much that she's assumed ever since that music is for middle-class toffs pretending to be Right On. My friend, and many of her friends, are not fools. They can spot condescension a mile away. Sir Henry Wood believed that ordinary people were capable of learning. Now, those who make arts policy seem ashamed of excellence, trapping us in a counter-productive downward spiral. It's all very well to chaase new audiences, for that is the current mantra. But face demographics, and face the global market for the arts. Through technology, the BBC Proms can reach millions all over the world. In places like Asia - potentially the biggest market of all - people are brought iup to value cultivation. they look to the BBC as a beacon of high standards. Give them too much parochial drivel and lose their attention. Anecdotal evidence is that many Proms regulars are cutting down on what they attend. Driving away the core audience is bad business : killing the goose that laid the golden eggs in the first place. Although one could cultivate the proms as fun for tourists, the fact is that the British public is ageing. This year, I've witnessed many problems for people with disabilities. I don't know if the Royal Albert Hall,is exempt from normal Health and Safety regulations, but surely there must be ways for the BBC to make things fairer for those who can't leap up stairs and stand in the arena. One obvious and very simple solution: keep seats with easy access for people with disabilities, so people with special needs can book ahead, knowing that they will be able to use seats that currently have to be booked blind. One man told me how difficult it is just to come to the RAH, and then be turned away. Better even, he saiud, to spend a bit more than lose so much. Not everyone who is disabled is in a wheelchair or is registered blind or whatever, but people have a right to come to the Proms and be treated with dignity. If these reserved seats don't sell close to date, then sell them openly. It can't be that difficult. Part of being a presenter is the ability to adlib while stages are being changed and so on, and that's a skill! But it would help if the presenters were briefed and not just off Wikipedia. Proms interval features vary : one of the best this year - by far - was the shepherd who spoke during the prom that featured Mendelssohn A Midsummer Night's Dream. Someone with something genuinely interesting to say, not just a motormouth. Also, as a voice person, I can vouch that at least one presenter needs a voice coach. Take breaths for punctuation, don't let your voice squeak higher and higher , faster and faster, calm down and be natural. Hysteria might be fine on some forms of radio (like sports), but it pains audiences who listen to pitch and modulation. 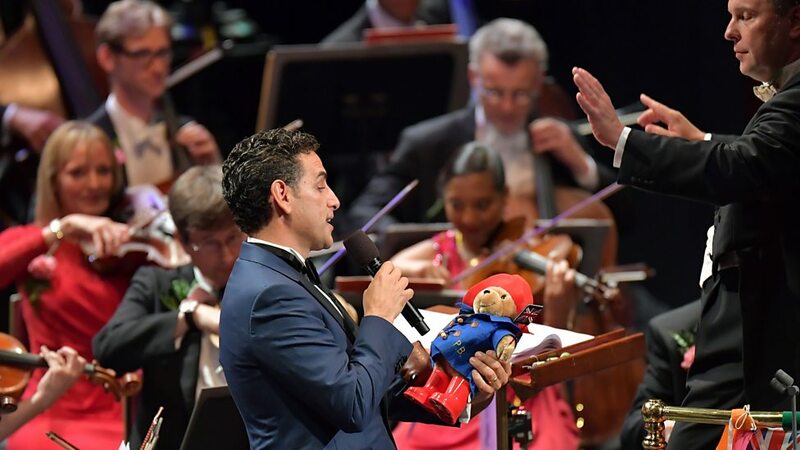 Juan Diego Florez saved the Last Night of the BBC Proms 2016. First, he reminded us that Paddington Bear was an immigrant, from darkest Peru, who arrived, alone and nameless in Paddington Station. JDF sang star turns, diplomatically avoiding Don Alvaro from La forza del destino. That opera might unsettle some who side instinctively with the Marquis de Calatrava, who hates foreigners. Florez sang instead a love song in Spanish, celebrating "dark eyes and cinnamon skin". To Paddington Bear, who certainly has cinnamon skin (or fur). With wry humour, JDF defused what might, potentially have been a very ugly situation in post-Brexit Britain and the intolerance it represents. 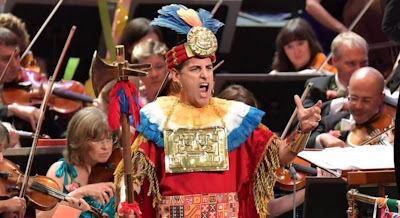 Later, dressed as an Inca King, Florez (a Peruvian) dazzled in shining gold. Again, those who know history know that violence can end even the most spectacular of Empires. Every LNOP in recent years has featured a comic diva or divo, but Florez made a real statement, in a gentle and subtle way. Seventy years ago, my mother was at the Last Night of the Proms. It was 1946. She'd arrived, a refugee, a stranger in a new land, having spent the war years in a camp. For her, the LNOP was an affirmation of the ideals that made Britain great in the first place. Once, Britain shone like a beacon in the world. It stood for Hope and Glory, dreams built on progress and expansiveness. I was dreading this Last Night of the Proms, seeing how those ideals have receded into selfishness and insularity. Flag waving has been a part of the LNOP for years but more benign than vindictive. We didn't defeat Hitler in order to embrace Goebbels-style mass rallies. Patriotism and jingoism are not the same thing. Indeed, the flags at LNOP have always included those of other nations. Last year, the tricolor and the Marseillaise in honour of those killed in France. Sixteen years ago, subdued respect for the victims of 9/11. In any case the Proms have never been about nationalism. For Sir Henry Wood and Prince Albert, a German, before him, the pursuit of knowledge, the arts and sciences meant human progress. Bildung, to use a foreign term, the cultivation of civilized values. On Thursday afternoon, I watched members of the Staatskapelle Dresden eating picnics near the Albert Memorial before their Prom. Sir Henry, and Prince Albert, would have beamed. So no need for waving EU flags at the LNOP. Music is international, a river fed by many different streams. Cultural insularity is a dead end. Without Bach, Mozart, Beethoven, Wagner and much else we'd be impoverished. In any case, the arts industry in Britain is part of a global economy. Infinitely more worrying, however, was news that Arron Banks was planning to flood the Royal Albert Hall with Union Flags to counteract the waving of the "illegitimate" EU flag. Banks bankrolled UKIP and Brexit and is apparently planning a new lobby movement outside of the Parliamentary system. Nothing new in that: rich people have always used wealth to serve their interests. But the Union Flag means "union", the idea that England, Scotland, Wales and Northern Ireland are better off muddling together than squabbling. Without London, the whole country would collapse. The Union Flag is a symbol of co-operation, not coerciveness, not intimidation, not bullying. So three cheers and hurrahs for the audience at tonight's Last Night of the Proms 2016, who didn't fall for the bait. Fewer flags this year than for ages, few aggressive big flags and blasts of vuvuzelas. Instead, people paying attention to the music and not trying to grab attention for themselves. Phew, what a change ! A pity that, despite some good performances (Duncan Rock singing something unworthy) the music was diluted by BBC commercialism, but unfortunately that's part of a wider dumbing down. Sakari Oramo in his quiet good natured way, also helped head off any tension. Who could be mad at a nice guy like that? And so this year, when everyone sang Jerusalem and Land of Hope and Glory, things didn't seem as bad as they might have been. That, I thought, was what "Being British" is really all about. The ghosts of history hung palpably above Prom 72 at the Royal Albert Hall, London. Christian Thielemann and the Staatskapelle Dresden presented a programme that began with Beethoven Violin Concerto in D major with Nikolaj Znaider, and concluded with an even more intriguing pairing: Max Reger's Variations and Fugue on a theme by Mozart (Op 132, 1914) and Richard Strauss Till Eulenspiegels lustige Streiche Op 28 (1895). This combination tells us much more about Thielemann and the musical credentials of the Staatskapelle Dresden than yet another predictable rehash of the Mozart/Bruckner mini series which has so fixated the media this week. The Staatskapelle Dresden was founded in 1548, a bit earlier than the Berlin Staatskapelle (1570), and the Leipzig Gewandhausorchester (1748) . A very special perspective. Yet again, Reger's Mozart Variations are not rare even if the BBC doesn't seem to know. Reger doesn't need to be discovered - British audiences just need to think in wider European terms. Fritz Busch, who conducted the Staatskapelle from 1922 to 1933, made the first recordings of Reger's Mozart Variations in 1920, when it was "new music" and again in 1944, 1949 and 1951, though not with Dresden orchestras. Karl Böhm, who succeeded Busch, recorded the Mozart Variations with the Staatskapelle Dresden in 1938, and later with the Berlin Philharmonic. More recently, Jörg-Peter Weigle recorded it with the Dresden Philharmonic, not quite as ancient or as illustrious as the Staatskapelle. Keilberth, too, who recorded Reger in Bamberg,was also a chief of the Staaatskapelle. Thus Thielemann connects to a long-standing association between Dresden and Reger. 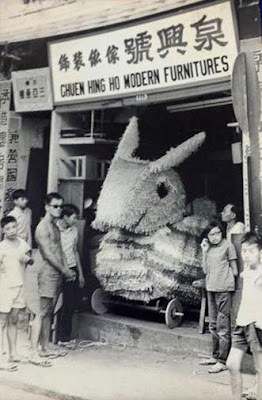 But a tradition revived afresh and reinvigorated. The opening theme in Reger's Mozart Variations derives from Mozart's Piano Sonata No 11, which itself incorporates variations on a basic concept. Thus Thielemann and the Dresdeners presented it with lucid elegance, emphasizing the intricate proliferation of variation upon variation. Reger writes with the elaboration favoured by very late 19th century composers, but it's a mistake to assume the piece is Hollywood-style treacle. It's based on Mozart, afetr all ! Romanticism was not "romantic" and in any case Reger was writing in an era informed by the exoticism of Jugendstil. Thielemann thus demonstrates how the textures can shine when sharply defined, so the colours glow as if from the music itself, as they should. Reger may not be as original as Korngold, Schreker and Zemlinsky, but like them, he was heading forwards, not back. As Thielemann and the Dresdeners played, I thought of Dresden itself, and the Zwinger, an exquisite roccoco gem which seems to epitomize the ideals of civilized balance. Unfortunately we know how quickly ideals can be destroyed by mindless mass hysteria. Thielemann has been excoriated for having said "Wir müssen auf die Fragen hören" when Pergida raised its ugly head in Dresden. That was back in early 2015. Now that populist extremism is proliferating all over the world, to confront it we need to learn. Mob think thrives on non-knowledge, so it's worth checking at source. Read in Die Zeit what Thielemann actually said, Text HERE. The "Refugees Welcome" movement now gathering pace also had its origins in Dresden. The Staatskapelle, in its home at the Semperoper, has also been closely connected with the development of German opera. Richard Wagner started out at what was then the Hofoper. Richard Strauss is even more closely associated with Dresden. Nine Strauss operas premiered here, including Der Rosenkavalier (Vienna only later). The Alpine Symphony, though premiered in Berlin, was performed there by the Dresden Hofkapelle, to whom it was dedicated. Including Till Eulenspiegels lustige Streiche at this Prom proved a point, quietly. Till Eulenspeigel is a cheeky prankster, and the Dresdeners performed it with charm. Typical Richard Strauss irreverent humour. For Till is dangerous. He overturns conventional order and gets hanged. Thielemann and the Dresdeners know Strauss well enough to realize why the clarinet supersedes the horn. The horn is , well, Wunderhornish, representing folk tradition, while the clarinet's exaggerated howls parody the idea of funeral march. We might laugh, but underneath Strauss's merry jokes lurk darker ironies. A genuinely idiomatic performance, done with a stylishly nonchalant air, true to the soul of Richard Strauss. This Prom began with Beethoven's Violin Concerto in D major with Nikolaj Znaider, which the Dresden Staatskapelle is featuring this season. 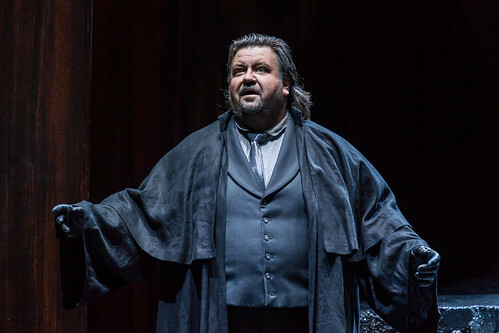 A performance which I enjoyed well enough, and which was received with rapturous applause by the Royal Albert Hall audience. .
Johan Botha died this morning in Vienna, of cancer, aged only 51. And with him dies a big part oif my heart. Botha will be irreplacable: an extraordinarily gifted singer whose voice could create roles with depth and emotional accuracy. Among his finest roles was Tannhäuser, were he lifted a dull production at the Royal Opera House up into the stratosphere with the glory of his singing. The photo above comes from that time, copyright Clive Barda 2010. Botha wasn't in the revival this summer, and maybe now we know why. Tannhäuser is an anti-hero, a man who has experienced the wildest excesses, yet cannot settle for conventional propriety. He'd rather go back to Venusberg and its dissipation than play the holy knight game. When Botha sang the part, he expressed the beauty of Tannhäuser's ravaged soul, showing the true heroism in his character. That's why Elisabeth chose him over Wolfram. Despite the transformational wonder of Botha's singing, there were some who sneered, thinking Elisabeth chose the wrong guy because he wasn't pretty. But what is the whole point of Tannhäuser ? Evidently Wagner is completely wasted on those who insist that opera should stick to literal realism. Botha acted with his voice : a pity some don't get it, that opera is about feelings and ideas, not imitation TV. Goodbye Johan Botha, an artist who sang the truth. At the Musikfest Berlin, Valery Gergiev conducted the Münchner Philharmoniker in Galina Ustvolskaya's Symphony no 3 "Jesus Messaih, save us!" with Shostakovich Symphony no 4. A musically astute programme, much wiser that the odd ragbag Gergiev and the Müncheners had to do at thr Proms in July where Ustvolskaya's remarkable piece was buried in crowd-pleasing Strauss and Rachmaninoff. Ustvolskaya's piece is powerful but forbidding and really needs to be heard in proper context, not submerged in the ragbag mix the Proms inflicted on Gergiev. In Berlin, he could give Ustvolskya the prominence her music deserves, and present it in proper context. Ustvolskaya (1919-2006) was an outsider, her career so restrained that, in comparison, Shostakovich was almost a matinee idol. But as this symphony shows, isolation intensified her originality. The power of this work lies in its emotional honesty, built on the foundations of unshakeable faith. Ustvolskaya's Symphony no 3 Jesus Messiah, save us! is based on the life of an 11th-century monk, Hermann of Reichenau, aka "Hermann the cripple" who was born with so many birth defects that he lived in constant pain and had difficulty speaking. Nonetheless, he became a theologian, an astronomer, a mathematician and wrote a treatise on the science of music. He lived to age 44, ancient by the standards of the time and was canonized in 1863. A paralyzed musician without a voice? What a metaphor for a composer in the Soviet era! Not for nothing, Ustvolskaya's Symphony no 3 evolves from a single, unaccompanied voice. 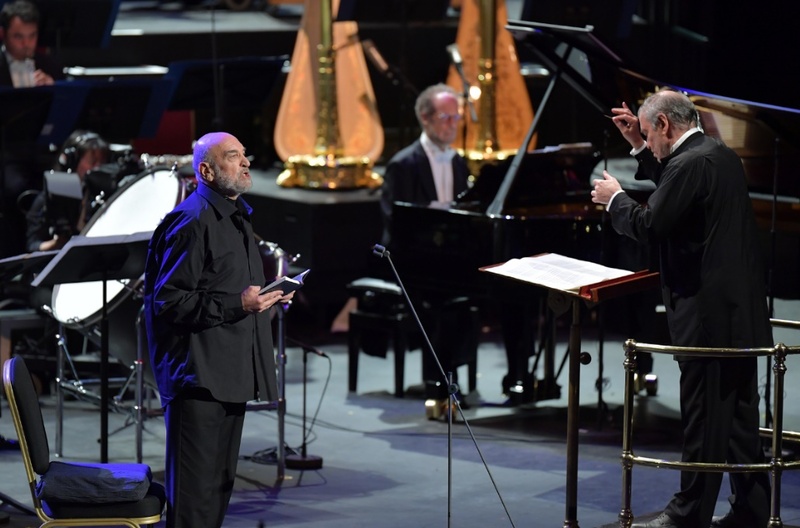 Alexei Petrenko (pictured with Gergiev at the Proms performance) intones the text with uncompromising gravity, as if his voice has materialized from an ancient past. Thus the austerity of the orchestration, and the utterly uncompromising nature of the work, closer to Orthodox traditions than to medieval Europe. The instruments operate in tight units: five basses, five trumpets, five oboes, three tubas, three percussion desks, with large timpani and smaller, militaristic drums. Thus a sense of ritual, a sense of unshakeable austerity, pitting the solo voice against small but strong forces. The piano mediates, sometimes supporting the idea of a wayward individual, yet also employed as percussion, with long drawn sequences of ostinato, a lone trombone wailing balefully long lines against the piano's firm "footsteps". "Save us, save us" Petrenko whispers, (in Russian) his eyes raised upwards, as if listening for a sign, as the music quickly dissipates into silence. Whether or not Shostakovich compromised with the Stalinist regime, he managed to balance on the edge. Ustvolskaya wasn't sent to Siberia, but seems to have struggled on in a kind of external exile. Shostakoviuch dominates to such an extent that it masks the originality of Ustvolskaya's idiom. She and Shostakovich didn't get on for various reasons. In any case, the integrity in her music comes from very deep sources. 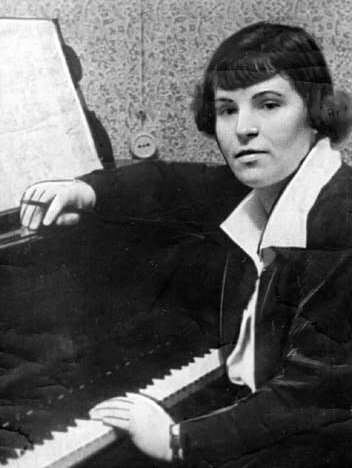 Thus she's closer to Stravinsky and the "primitivism" of the Rite of Spring, and to the brief explosion of modernity which flourished in the early years after the Revolution, and produced works like Alexander Mosolov's The Iron Foundry (1925-6) Ustvolskaya's music even connects to the fierce awkwardness of Janáček's Glagolitic Mass, and indeed to Messiaen's ground-breaking masterpieces like Et exspecto resurrectionem mortuorum. Boulez was a great interpreter of Stravinsky, Janáček and Messiaen, so his disdain for Shostakovich needs to be appreciated in context. Maybe one day, when modern music is better understood, we can see things from a wider perspective. Follow this link HERE to a discussion of Ustvolskaya, her place in Soviet music and her relation to Shostakovich. Also, this excellent documentary, made when Ustvolskya was, at last, being valued for her own sake. She was nearly 90 when the film was made but her mind is sharp. She knows who Reinbert de Leeuw is and what he stands for. With Gergiev's championship of Ustvolskaya, perhaps now her time has come. She was famously sniffy about some Soviet-era performances of her work, and with good reason, from what I've heard, but Gergiev is sophisticated enough to get it. Even though Gergiev turned up nearly 20 minutes late, not at all long by his track record, as soon as he reached the stage he snapped into form. Extremely tightly focussed, a performance informed by the same kind of mental and emotional discipline Ustvolskaya insisted upon. This Berlin performance was so much stronger that the London performance seemed sloppy in comparison. Catch it on The Digital Concert Hall when it's rebroadcast in a few days. Gergiev is unpredictable. When he's bad, he's very bad but when he's good, he's very good. The skill of a listener is to recognize which is which. Gergiev has been conducting Shostakovich forever, hardly surprising, since the composer, who once had to compromise with the Soviets, is now thoroughly mainstream. So this Shostakovich Symphony no 4 was rewarding, since Gergiev knows it like the back of his hand. The interest, this time round, was his relationship with the Münchner Philharmoniker, whose Chief Conductor he's become. The Munich Philharmonc is quite different from the London Symphony Orchestra, which Gergiev headed for ten years. So far, so good. I like the sound. Though Gergiev will conduct regularly in Munich, he'll still be based in London, where airline connections are better than in Munich, so he can commute between his various bases in oligarch enclaves all over the world. Contrasting figures, two very different premieres at the Proms. : Julian Anderson's Incantesimi and Bayan Northcott's Concerto for Orchestra. Both composers are big names in British music. Northcott's new work is more ambitious in scale, and impressive as a study of large forces. It seems tailor made for the BBC Symphony Orchestra, reminiscent of standard orchestral fare, big on full-bodied tutti and brass effects, lovely, rippling passages for winds. A good and worthy piece, though I suspect it needs a more dynamic performance. Please read the review in 5:4, a very good site on new music, which I wish ran year round rather than just in summer. "The work comports itself in a conflicted way, on the one hand sounding laboured and stylistically somewhat dated (a sort of ‘post-neo-romanticism’ if you’ll forgive the construction; think Walton with plenty of late 20th century twists), yet with a stream of invention sufficiently cogent to lend it a veneer of freshness. Considering this is Northcott’s first work for orchestra, it displays an impressive combination of complexity and clarity, although many of the ideas could do with a bit less stodge (making it sound as though the conductor is stirring treacle). A little over halfway through it attains a climax that’s made up of many elements; it’s a really nice moment, enhanced by the orchestra’s subsequent enigmatic withdrawal into the middleground. This, and the work’s more pensive episodes, are by far the most immersive; Northcott’s faster music (which dominates overall) feels shallow by comparison, and the abrupt end is an entirely unconvincing cop-out, But notwithstanding these difficulties, plus the fact that it’s not really a concerto for orchestra at all, more a symphonic poem, the piece makes for an interesting enough diversion." All music is "abstract" in the sense that sounds aren't as explicit as words, and even text can be elusive. Thomas Larcher's Symphony no 2 "Cenotaph" might have initially been inspired by images of Syrian refugees, but that doesn't at all mean that the music is literal, in any way. Like Strauss's Alpine Symphony, programmes are like scaffolding, useful as an aid to construction. What really counts is the building itself. Please read here what I wrote about Larcher and Strauss, and on the programmatic structure. In any case, music is processed by human minds, so it's not possible to experience listening without some human input: what one hears depends on an individual's emotional range, expectations and experience. And so to Julian Anderson's Incantesimi.. commissioned for Simon Rattle and the Berliner Philharmoniker. In theory this piece was inspired by an orrery, a multi-dimensional creation designed to demonstrate the movements and interactions of planets in the universe, each with their different orbits and speeds of traverse. 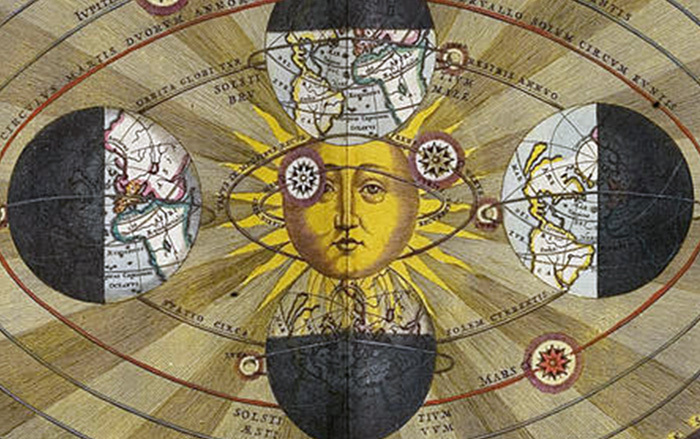 Science, thus, abstract concepts made visible, helping ordinary people understand the universe. Anderson has always been a remarkably "visual" composer : some people just are. But that doesn't mean that his music is literal. Anderson describes the five elements in his piece as a Nocturne which has five musical ideas juggled in perpetual motion, interacting but never all at the same time. "Instead of being an outward display of flamboyance, it's an inward display of lyrical qualities and calm meditation, like Giant Chamber Music". Thus the growling lower registers from which clean, clear lines emerge. A cor anglais solo, then. Exquisite, glittering, fragmenting sounds. All held together by a sense of circular movement, shifts in volume and tempi, highlighted by sudden single bell-like chords, then percussion and high winds. On the re-broadcast, the announcer says the percussive clicks represent a Japanese night watchman signalling all is well. Nuts, I thought. Nightwatchmen exist even outside Japan. If there's extra-musical reference here, consider the Nightwatchman in Die Meistersinger, who signals the restoration of order on chaos, hence the elegant structure of the piece. Much more than a tone poem, it's a mini symphony in less than 15 minutes, totally to the point. I hadn't heard Anderson's comments before listening, so I was delighted that I'd guessed the idea without having to be told. Anderson's Incantesimi. is definitely a keeper, proof that good, original new music can appeal without dumbing down or being elitist. Fascinating, imaginative and really quite magical. "Schläfst du, Hagen, mein Sohn?" Hagen is asleep, but Toxic Dad invades his mind, controlling him from beyond the grave (assuming Alberich is dead, which is unlikely). Hagen has no beef with Siegfried but a billion resentments agaist Gunther and Gutrune who have by rights what Hagen has not. So Toxic Dad worms his way into Hagen's subconscious. "Hasse die Frohen! Mich Lustfreien, Leidbelasteten liebst du so, wie du sollst! ". Alberich, the ultimate non-creative person who can only cheat and steal. What are the secrets of genuinely creative people? Just now a friend sent me an image from source I'd like to reproduce but can't. So here's the gist of it, and many thanks to whoever did it in the first place. Seeing it made me so happy ! And by sharing, maybe I can make others happy, too. Visualize two poles. Creative People and Non-creative. C's have a sense of gratitude for their blessings. Non-c's wallow in entitlement. Will Hagen be c or non c ? Will he "Hasse die Frohen!" like Toxic Dad ? Siegfried's no hero because he can't think past his own needs. For Wagner, the real hero of the Ring is Brünnhilde who returns to the Rhinemaidens what Alberich stole. Listen live, because the broadcasts may be available for only 24 hours. On Saturday I caught Wolfgang Rihm's Tutuguri with Daniel Harding and the Symphonieorchester des Bayerischen Rundfunks. This piece is legend, but not easy to pull off because it requires a huge orchestra, a whole row of percussion desks and elaborate off-stage effects Rihm's model for Tutuguri was a piece by by Antonin Artaud, the actor and theatre theorist whose ideas have great influence on modern theatre, film, dance and music. Artaud believed that communication could exist on multiple levels. Texts don't have to be spoken, nor even rational. In Tutuguri, the soloist and invisible choir (on tape) utter sounds in single syllable bursts of staccato, which don't have meaning in themselves: it's up to the audience to intuit the connections themselves. If, of course, there "is" any meaning we can deduce. Artaud was fascinated by primal states of experience that cannot be articulated - hence the animalistic grunts and piercing screams. Orchestra and singers all on the same communal level. Rihm's use of percussion is absolutely deliberate. because percussion reflects the rhythms of the human body, heartbeats, breathing, movement. This performance was exceptionally muscular and physical, yet mesmerizing just as the rite it (sort of) describes would have been. Savage as the subject may be, performance needs to be accurate and extremely tightly focussed or the whole point is missed. This performance was so powerful that it far eclipsed Kent Nagano and the BBC Symphony Orchestra at the Barbican last year (read my piece here). The narrator, Graham Forbes Valentine, who bore a disconcerting resemblance to Artaud, was so forceful that he seemed possessed, the tightness of his articulation like an elemental force oif nature. Luckily I was able to watch it through before Digital Concert Hall pulled it. Explains why I'm too tired to write about Rossini Semiramide at the Proms, which I loved. So don't miss the next livestream on Tuesday 6/9 when Valery Gergiev conducts the Munich Philharmonic Orchestra in Shostakovich Symphony no 4 and Galina Ustvolskaya's Symphony no 3 "Jesus Messiah, save us", which I wrote about in July HERE. A striking piece I can't wait to hear again. Ivan Fischer and the Konzerthausorchester Berlin on 8/9 with Hans Werner Henze I vitalino raddoppiato for violin (Julia Fischer) and chamber orchestra. A beautifully expressive piece which could easily stand up to Bruckner 7, which I heard last week with Haitink and RCOA livestreamed from Amsterdam. Andris Nelsons conducts the Berliner Philharmoniker on Saturday 10th in Debussy Prélude à lʼaprès-midi dʼun faune, Edgard Varèse Arcana and Berlioz Symphonie fantastique. An intelligent programme presented, no doubt, with flair and extremely high musical standards. More Varèse (Déserts) and Ligeti (Violin Concerto, Pekka Kuuisto) the next day with Jonathan Nott and the Junge Deutsche Philharmonie , followed by Beethoven 3 Eroica. Then Dudamel Messiaen Turangalîla-Symphonie. I heard this a few months back, but it's really for fans of the conductor rather than fans of the music. Kirill Petrenko conducts the Bayerisches Staatsorchester on 14/9 in Ligeti Lontano, Bartók Violin Concero no 1 (Frank Peter Zimmermann) and Richard Strauss Sinfonia domestica. Good combination, should be good. Then John Adams conducts an all John Adams concert on 17/9.